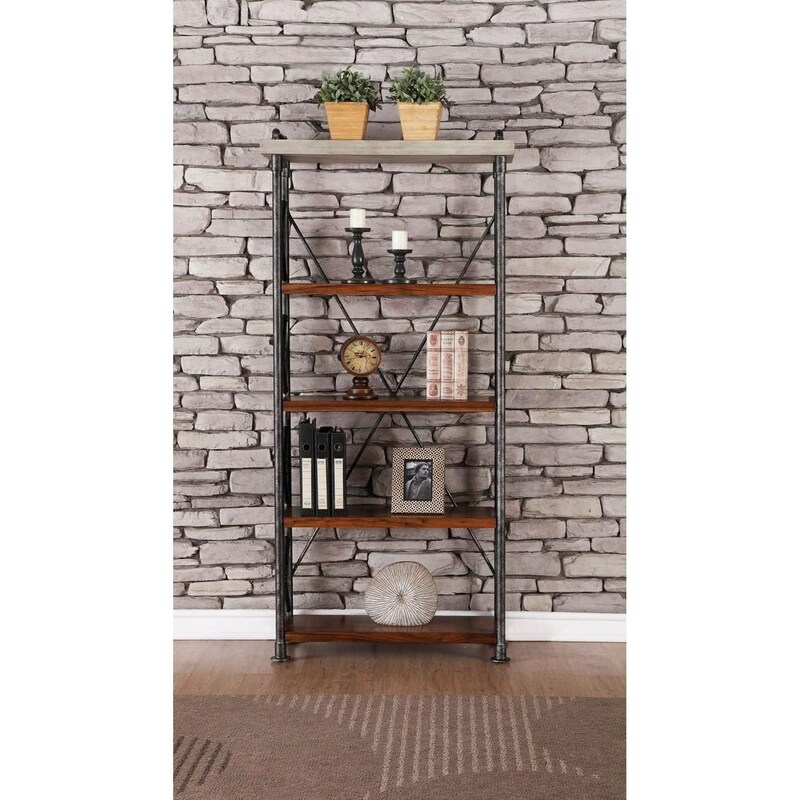 Featuring four shelves, this large bookcase presents extended storage space for your home. Highlighted by industrial design, the shelves are crafted with premium select hardwoods and veneers. Completed with a faux concrete top, this bookcase fits well in modern style settings. The Steampunk Collection Steampunk Bookcase with Four Shelves by Legends Furniture at EFO Furniture Outlet in the Dunmore, Scranton, Wilkes-Barre, NEPA, Bloomsburg, Pennsylvania area. Product availability may vary. Contact us for the most current availability on this product. Construction: Case Premium select hardwoods and veneers. The Steampunk Collection collection is a great option if you are looking for Industrial furniture in the Dunmore, Scranton, Wilkes-Barre, NEPA, Bloomsburg, Pennsylvania area. Browse other items in the Steampunk Collection collection from EFO Furniture Outlet in the Dunmore, Scranton, Wilkes-Barre, NEPA, Bloomsburg, Pennsylvania area.